Most of us know the importance of ADC and the fact that simpler it is to use the ADC in any device, the more easier it is to make any project. Most of the sensors use ADC for data transmission to the microcontroller and that’s why ADC plays an important role in any embedded system design. ADC input range from Vref- to Vref+. Continuous Conversion mode. 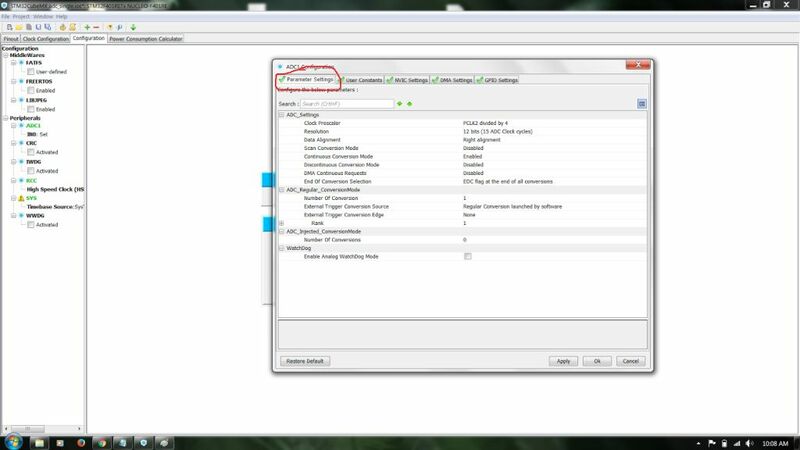 If enabled, ADC will Continuously sample and convert. If disabled, only one sampling and conversion will be performed and than A/D will stop. Scan Conversion mode. Configures the sequencer of groups. If it is disabled, conversion is performed in a single conversion mode (the one defined in rank 1). If enabled, conversions are performed in sequence mode up the rank. Discontinuous Conversion mode. Specifies whether the conversions sequence of regular group is performed in Complete-sequence/Discontinuous-sequence (main sequence subdivided in successive parts).Discontinuous mode is used only if sequencer is enabled (parameter ‘ScanConvMode’). If sequencer is disabled, this parameter is discarded. Software Trigger. This will start A/D conversion from the code. Hardware Trigger. 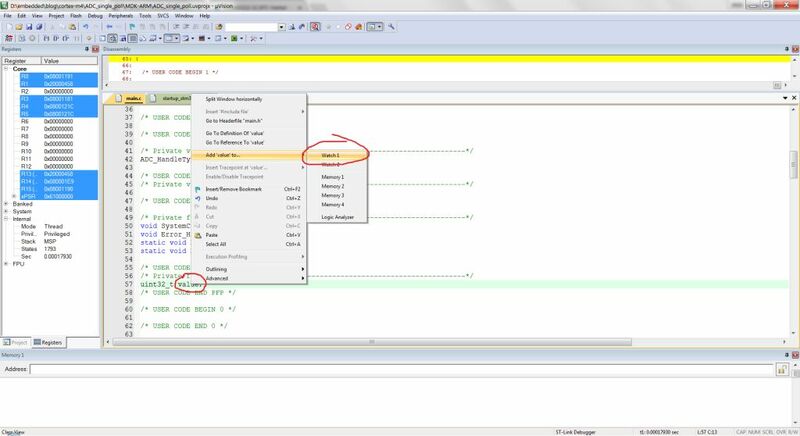 This will start A/D conversion in case of any hardware events eg- timer event. 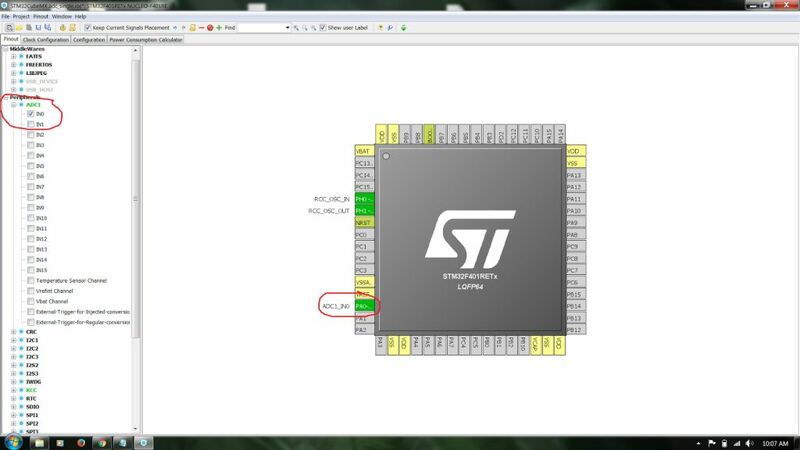 There are many ways to program ADC in STM devices. We are going to cover all of them, starting with the simplest, PollForConversion method. 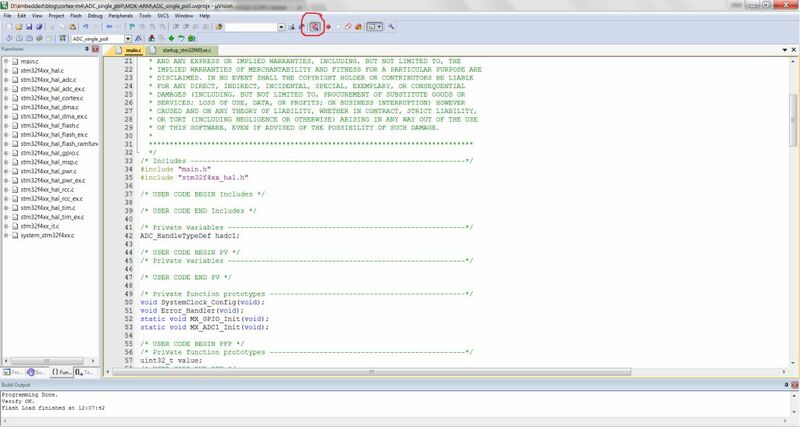 In this method, Controller continuously poll the ADC device and when the data conversion is complete, it can be read using HAL_ADC_Getvalue() function. Scan conversion mode is disabled because only one channel is selected and sequence is not needed at this time. Continuous conversion mode is enabled as we want adc to work continuously. DMA continuous request is disabled as we are not using DMA here. 3.) generate the project and open it. So let’s start with PollForConversion method. This will Poll the ADC and wait for the conversion to end. We can specify timeout in case of errors. Timeout is the timeout in case of errors. FIRST we need to define a variable to store the value of ADC. 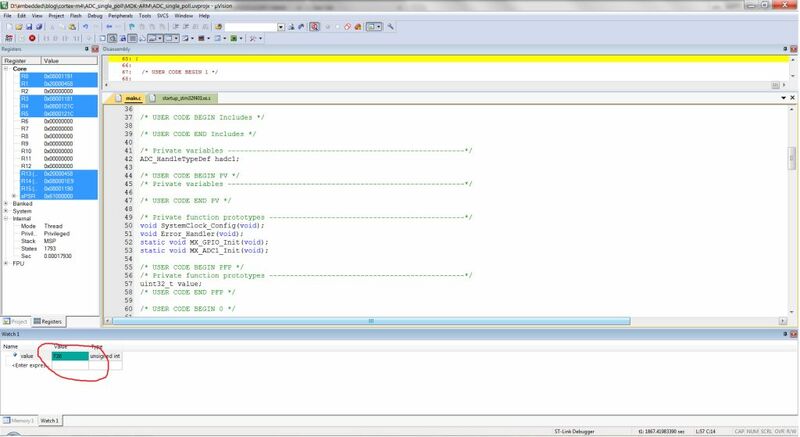 Inside while loop write a function to poll ADC for the conversion. 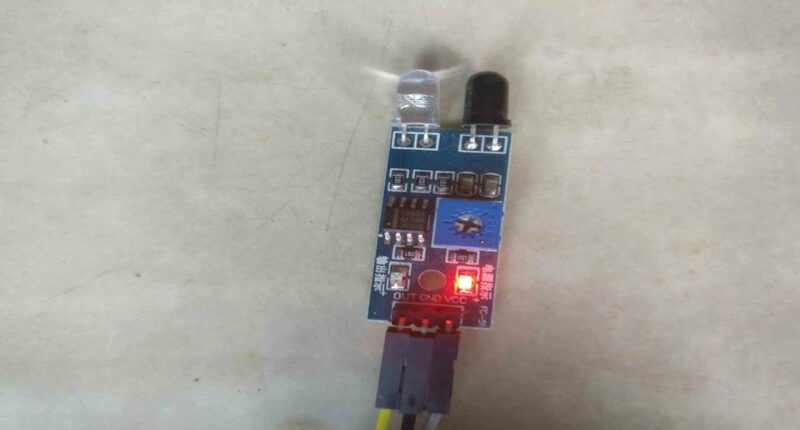 /* Includes ------------------------------------------------------------------*/ #include "main.h" #include "stm32f4xx_hal.h"
To test this I am using a IR motion sensor, which works with ADC. I am not going to go in depth of how this sensor works. 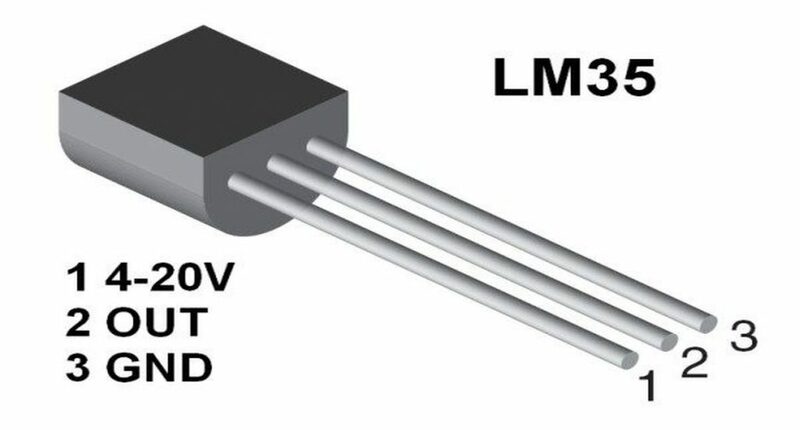 You can consider it as a potentiometer or a variable resistor to test ADC. So if the sensor does not detect any obstacle, it’s resistance will be 100%, which is 4095 in our 12 bit ADC mode. Upon detection, it’s resistance will decrease. 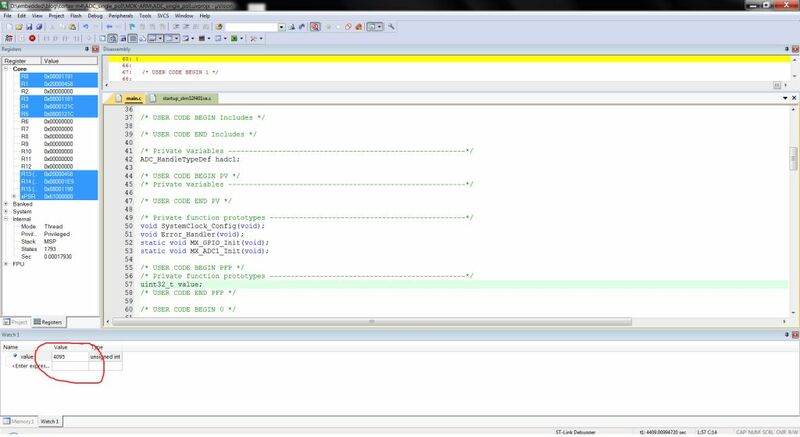 I am not using any LCD here so in order to see the value change, we have to either use debugger or Stm studio. I will show the results in both of them. Compile the code and load it to the board. Now, switch to debugging mode. Add variable (value) to watch list. It is recommended to create this variable as global. 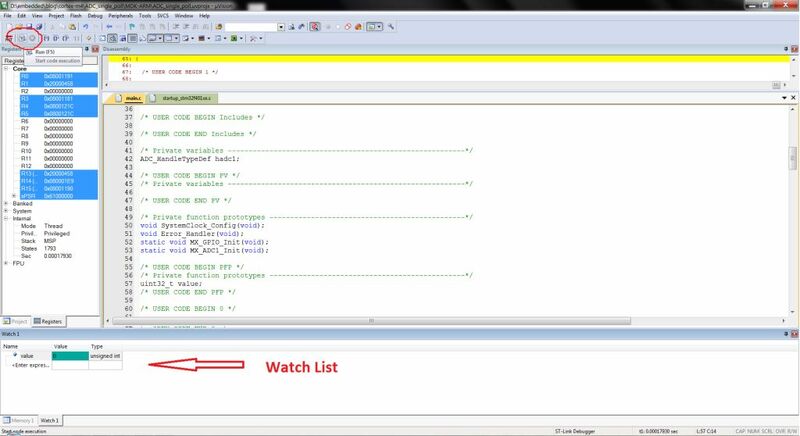 Run debugger, also just have a look at watch list. I have changed display from hexadecimal to decimal. With no obstacle, The value of the ADC is 4095 (12 bit resolution). With something in front of it, the second LED glows and the value in the debugger decreases. NOTE:- As the pollforconversion function is in the while loop, this procedure will continue forever and microcontroller can not perform any other function. To avoid this, we will use interrupt in the upcoming tutorial. 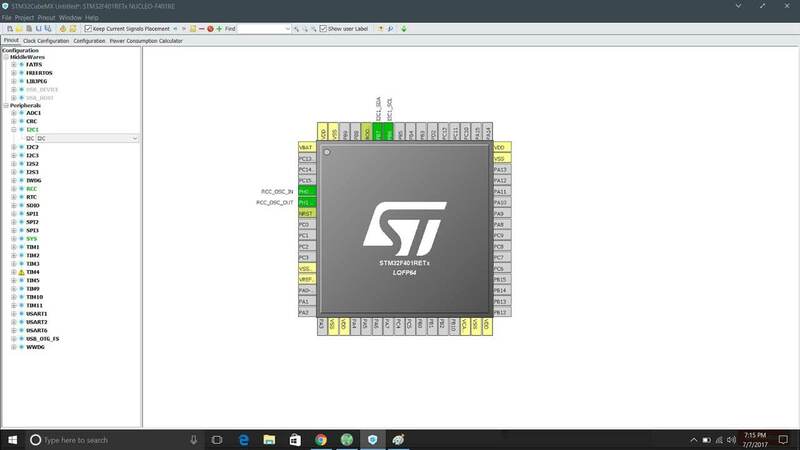 Also I will use the STM-studio to watch runtime variables.